Saint Mary’s College High School’s heritage and tradition come from the Brothers of the Christian Schools and are called Lasallian. The Lasallian tradition and its values were established over 325 years ago by Saint John Baptist de La Salle, founder of the Catholic teaching order of the Brothers of the Christian Schools and the Church’s Patron Saint of All Teachers. Clearly, the enduring movement he began as a “human and Christian educator” is not only educational but spiritual, a movement that has students at its center, the teacher as its focus, and the salvific potential of education as its inspiration. As a Lasallian Catholic School, Saint Mary’s welcomes families of various faiths. We celebrate the power of faith through prayer and by teaching the values of respect, tolerance, care, love and service for others. Our community embraces the spiritual gifts and talents that all students bring to the table. 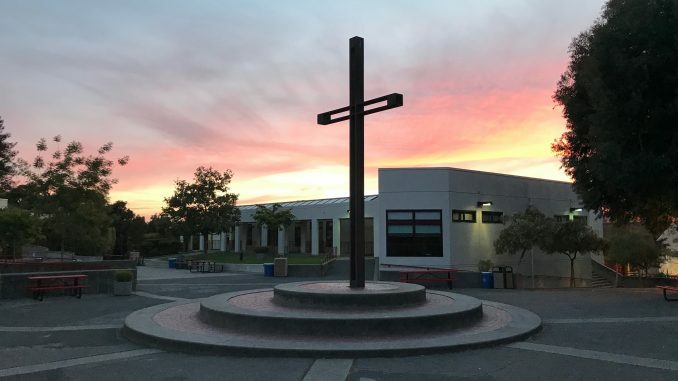 Prayer and religious celebrations inspire the entire community to remember that all of us must support one another, live the Gospel message, and honor the Mission of Saint Mary’s College High School.